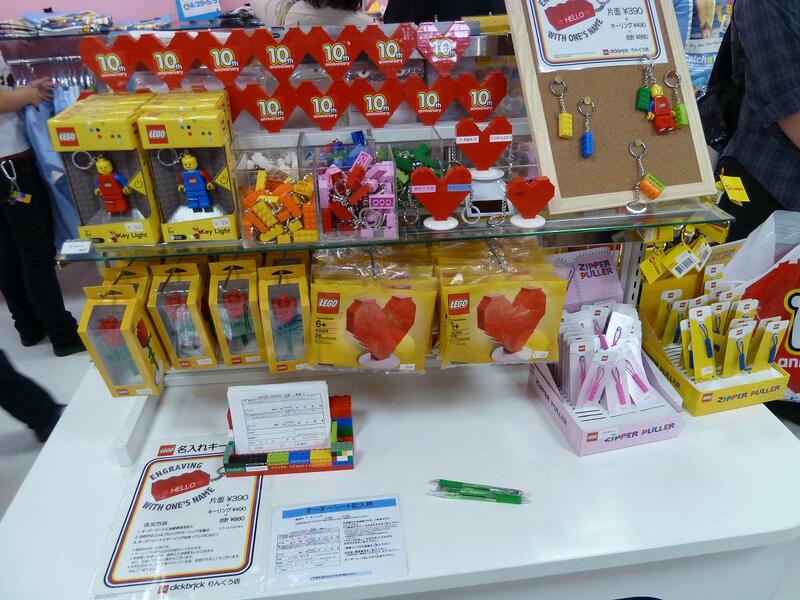 By the way, the non-Lego related tips/experiences are applicable to Nanoblock shopping in Japan as well (except for Muji). 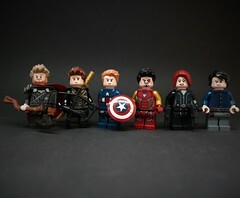 You didn’t think I only bought Legos did you? Haha, yes I did buy loads of Nanoblock sets in Japan, including the Himeji Castle set I so admired in my earlier post… I got the set at JPY5,800 (vs retail price of JPY8,400) from Bic’s Kyoto. Able to purchase Japanese Lego books, which are great by the way, even if you do not understand Japanese like me. I bought 2 this time and will do a simple book review when I’ve some time. Able to purchase English Lego books, that may not be available in your home country. This is more for Asian AFOLs I guess, since Amazon is widely available elsewhere. Not having to carry heavy and bulky parcels back to the hotel/the rest of the day. Free cardboard box to check-in new toys back home (just have to buy some scotch tape to tape up the boxes). Cheaper prices (for offer/discounted items) than most retail stores. Some selection of discontinued items from Amazon’s 3rd party retailers. As a first-time buyer from Amazon Japan, you probably qualify for the trial to have express delivery. 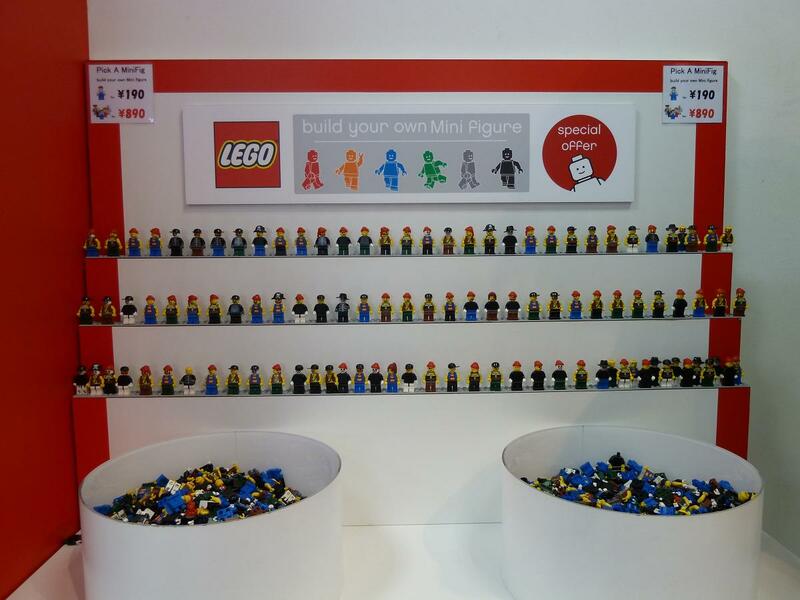 Hardly any Lego lifestyle items offered. Mostly Japanese descriptions and instructions, but English instructions are available when setting up new account. Need to have some sort of semi-permanent abode for at least a couple of days. Not sure what is the implication if there is no receptionist/concierge to accept delivery for you – perhaps can choose pick-up at a nearby Lawsons instead? 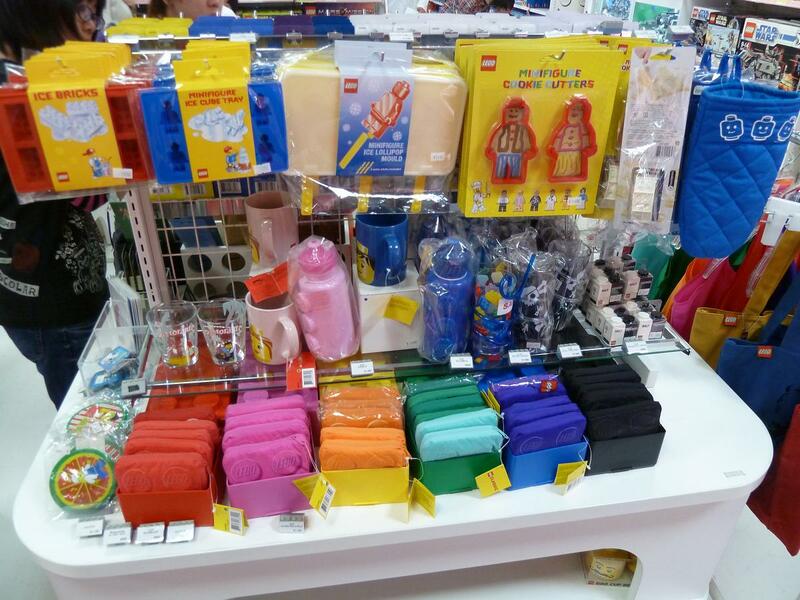 Loads of Lego lifestyle products, some seems to be only available in Japan. Able to view the display models (lots in the Rinku outlet, not so much in the Venus Fort one). 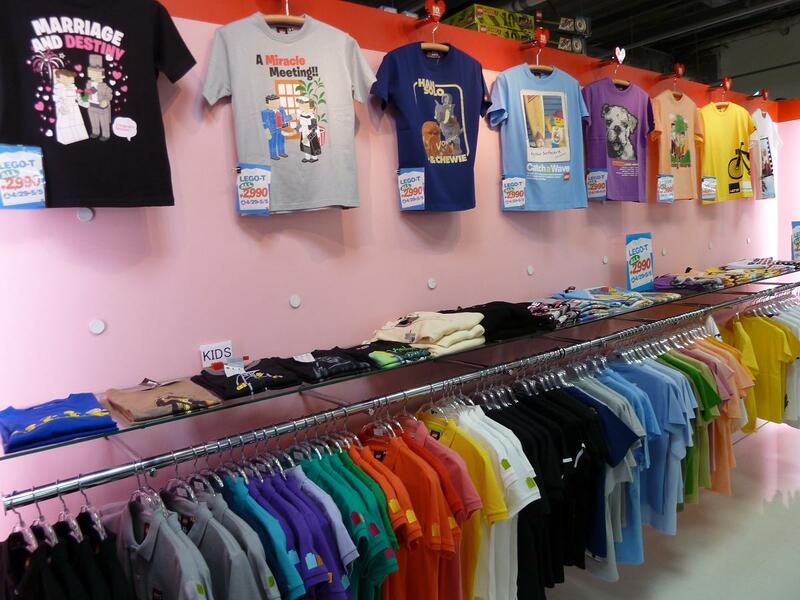 Some older discontinued items in-store. Prices are discounted from Japanese retail price. The atmosphere is great! 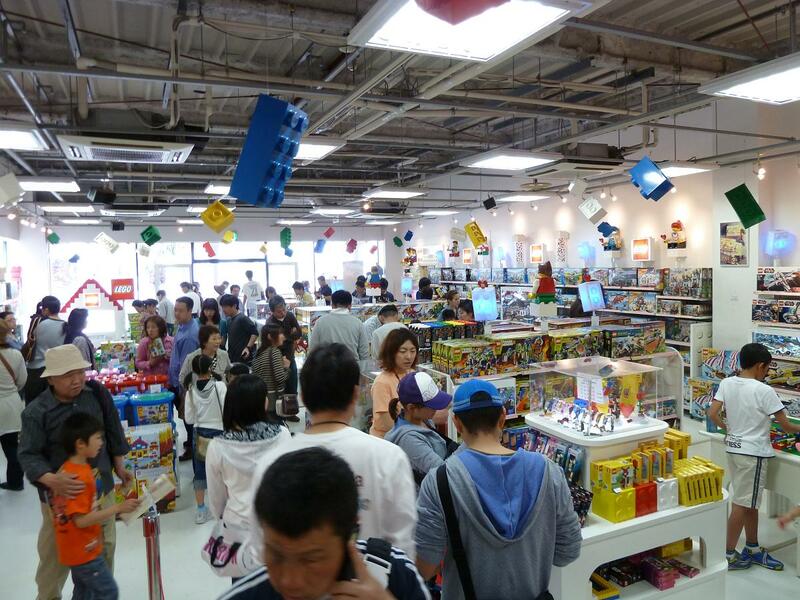 Loads of people in the store (though this may be due to Golden Week). Having to carry heavy and bulky parcels back to the hotel/the rest of the day (though day lockers are available for rent at the Premium outlet and most train stations). May not be the cheapest place to buy sets from (vs Amazon). Not easy to travel to… unless you go direct from the Kansai airport (which I did), it’s a long ride out from Osaka city centre or wherever you are based in. 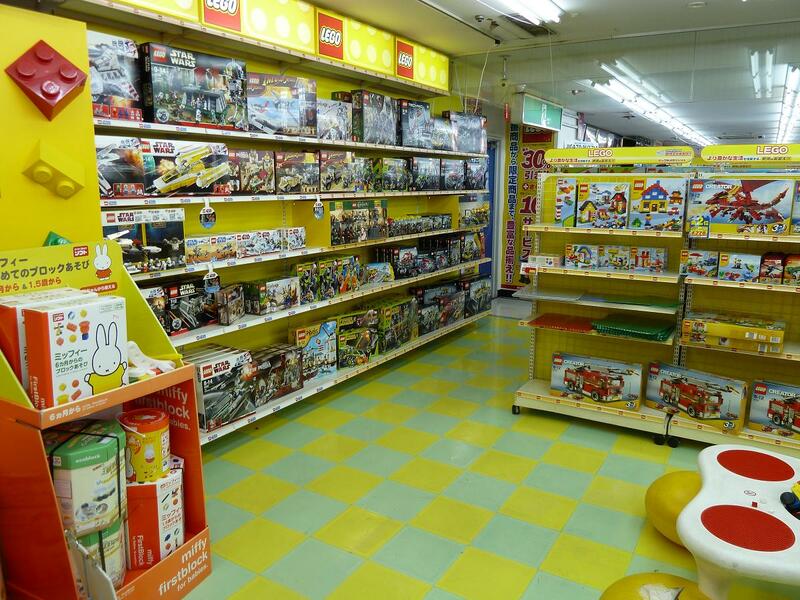 Apart from electronics, these stores also have a toys section, usually on the upper floors of the store. Prices generally seem to be discounted from Japanese retail price. 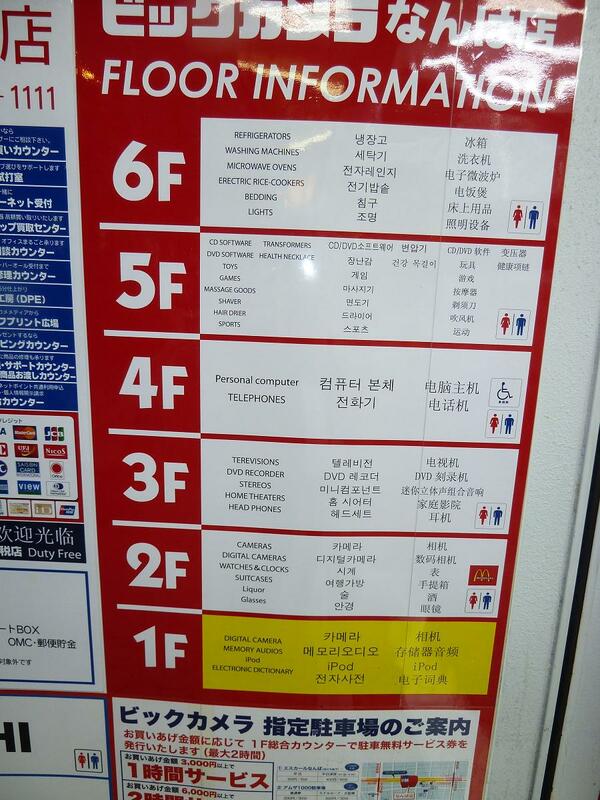 Can get additional 5% discount if you exceed JPY10,000 and qualify for duty-free shopping. Convenient to get to… all the stores are located near transport or shopping hubs. May not be the cheapest place to buy sets from (vs Amazon), but still cheaper than department stores. 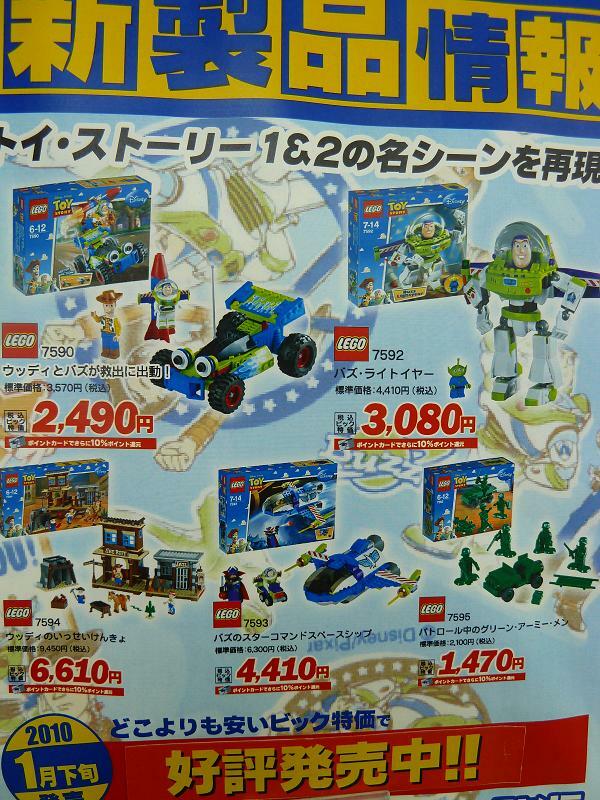 The only reason for an AFOL to shop in Muji is to get the exclusive Muji-Lego sets that were released end-2009. I went to nearly all the Muji outlets I could find (Himeji, Nara, Osaka, Kyoto) and strangely the Lego sets were only available in the Muji-to-go outlet in Kansai (KIX) airport. The shop is located in public Level 3 shopping area, so if you want to get your Muji Lego sets, remember to pop by after you exit from customs upon arrival, or get the sets before you enter immigration for departure. Hey, it’s really the only place you can get those Muji Legos, apart from the online Muji store which is all in Japanese anyways so no idea how to order the sets online. Those sets are not cheap. 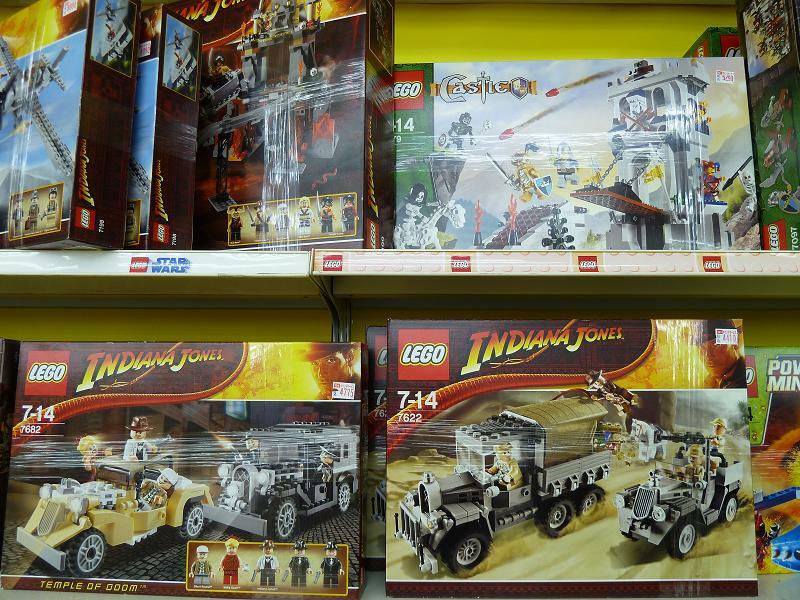 Those sets are not cheap, most expensive of all the other options 1 to 3 since the sets are only sold at full retail price. Questions, comments or updates? Leave a comment and I’ll get back to you. 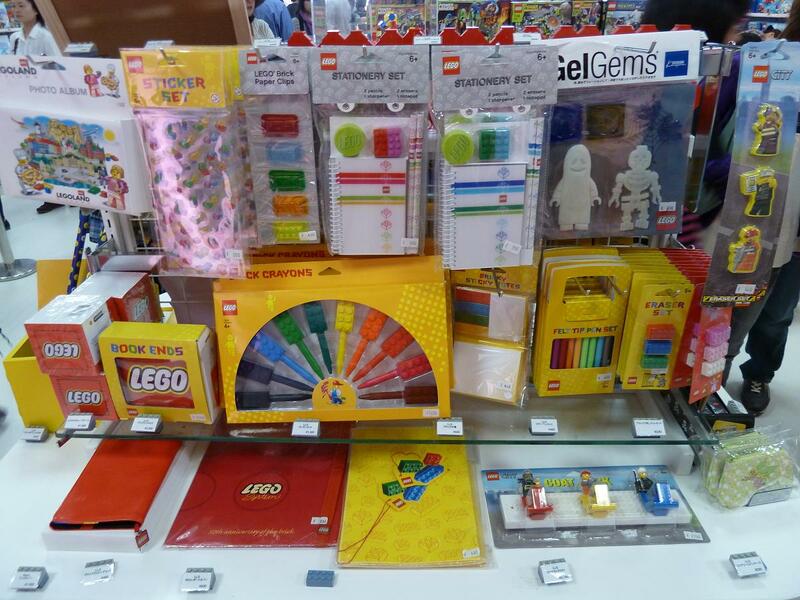 Chanced upon your blog…great insight about LEGO shopping in Japan. 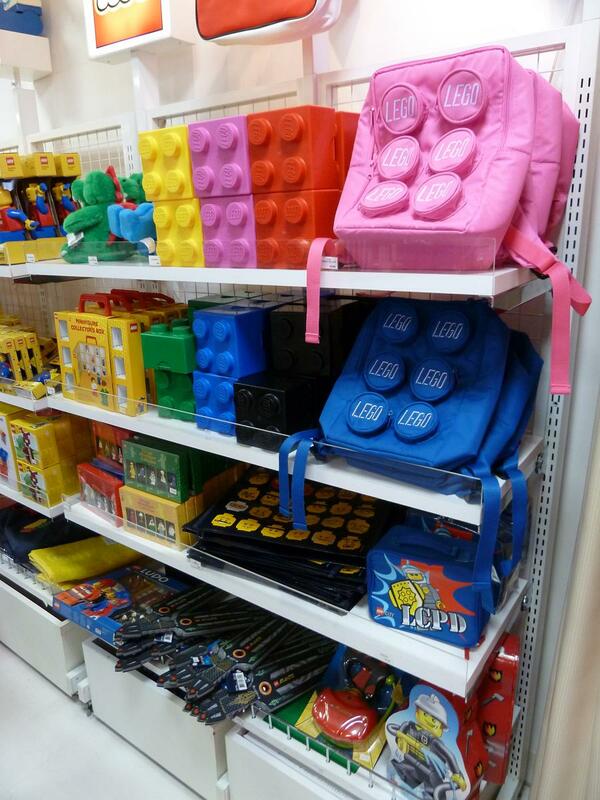 Click Brick seems really interesting, going by the range of lifestyle products in-store. Must make a mental note to visit the store, not that I’ll be going there anytime soon, if ever. Hehheh…. 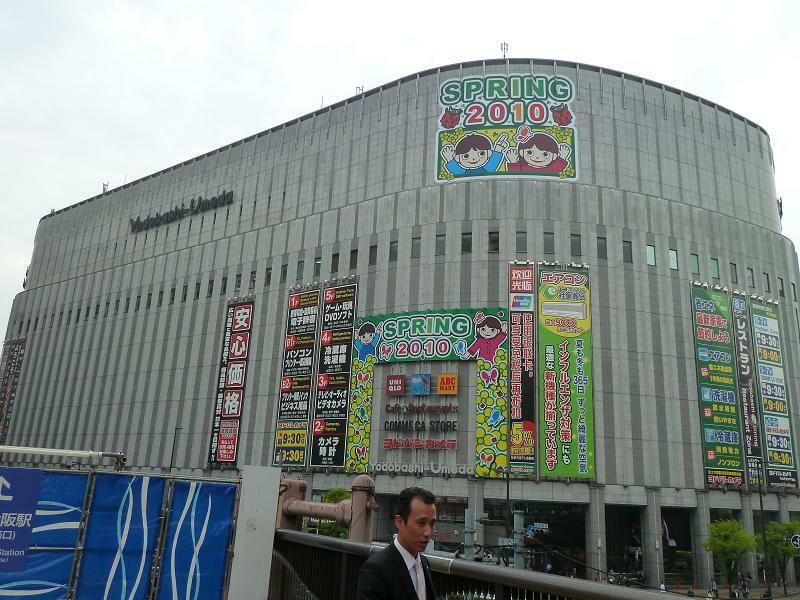 Apart from Click Brick, the electronics stores in Japan are fantastic. You’ll be amazed at the variety of gadgets available… every floor is just jammed packed with tonnes of gadgets and stuff you never knew you needed till you saw them. And I’ll venture to say you’ve never properly tasted sushi until you’ll tried from the restaurants around the Tsukiji Market… mmm… and ramen is nice every where too! Japan is a great place for holidays. Hope you get to go soon! 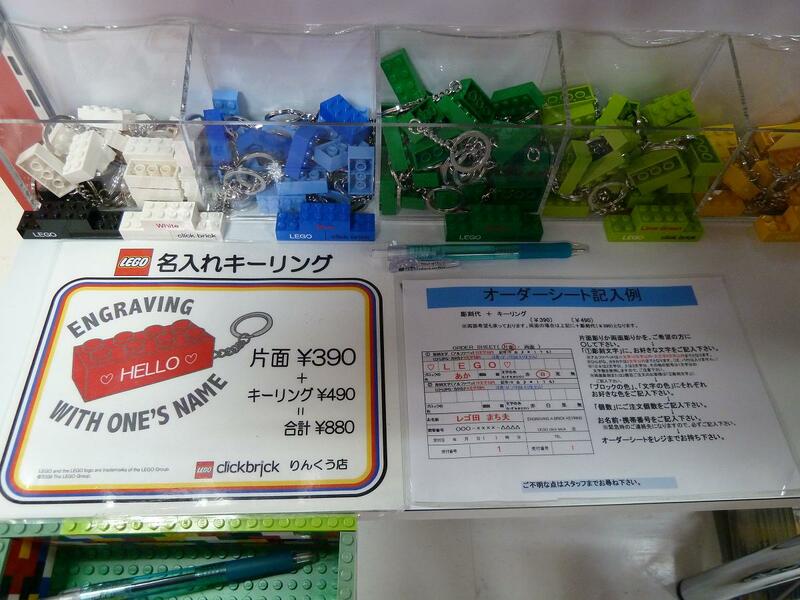 Great information on buying legos and nanobricks in Japan. Quick question any suggestions on places in the Tokyo area? 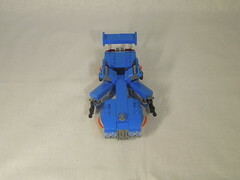 Also, I hear about the prices at like click brick being cheap or cheaper do you think they are compared to outside of Japan or is that just from the inside of Japan that the prices are cheaper at click brick. 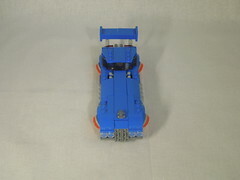 I’m asking only for people who visit Japan and go to the local stores to possible buy legos and nanobricks but mainly legos. I went to Venus Fort Click Brick when I went to Tokyo. 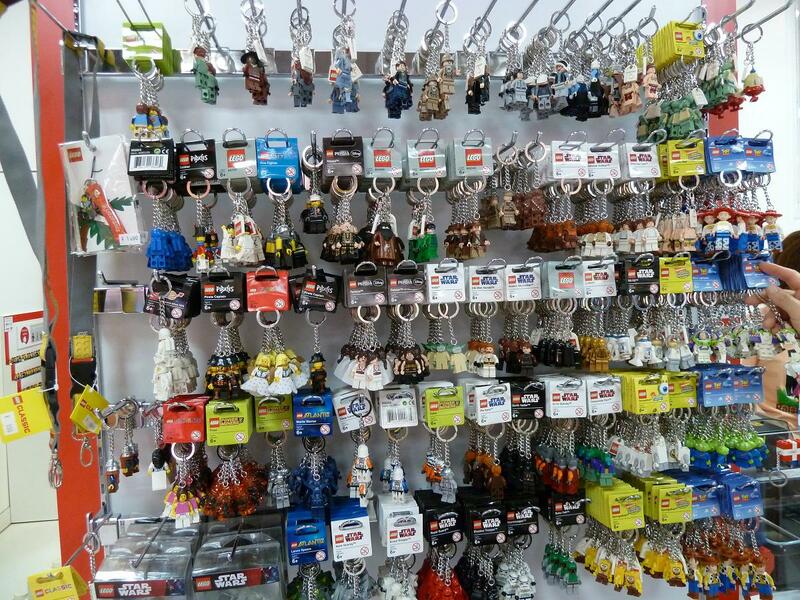 If you go to Akihabara then Bic’s Camera or Yodabashi should have both Lego and Nanoblocks as well (and if you are lucky, at discounted price). The usual retail stores like Takashimaya, Isetan & Daimaru would probably stock Lego but at full Japanese retail price which is very pricey. The prices are cheap in Click Brick relative to Japanese prices, but given how much the yen has risen the past months, I think not much bargains to be found. 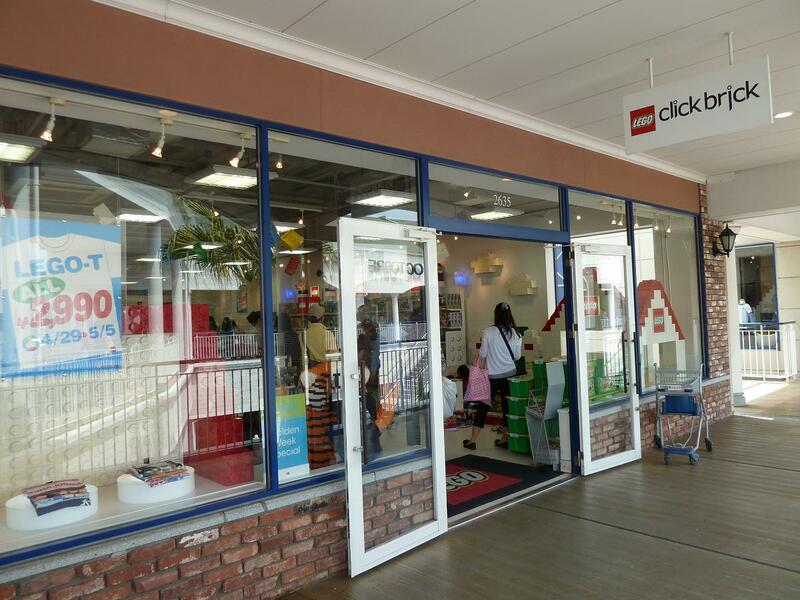 The lifestyle products in Click Brick are still very unique tho and well worth the trip to Odaiba for a Lego fan. I really like shopping on Amazon Japan btw. When they discount the sets, I think prices can be very good (relative to Singapore). 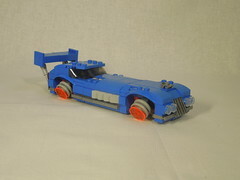 For reference I recommend this japanese blog (http://legojapan.seesaa.net/) that gives very up-to-date Lego shopping news for Japan. How do u use that site? All in jap? Is it cheaper in terms of shipping also? No it just gives update of offers in japan. To shop u still have to go to amazon japan. Saves u the trouble of checking for offers and scrolling thru the Japanese tho. 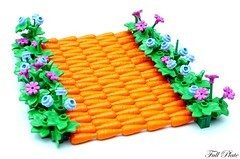 just like to say thanks for yr lobang on Winter Toy Shop…. sometimes its good to call them up rather then keep looking at the webby cos i ask them and they tell me they haven update yet . Thats y its stated out of stock. I have been exploring for a little for any high qualiy articles or weblog posts on this sort of area . Reading his info So i am glad to convey that I have a vry good uncanny feeling I discovered just what I needed. this website and gice it a look on a constant basis. 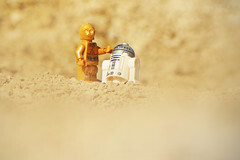 Great post–thanks for sharing. By the way, what is “AFOL”? 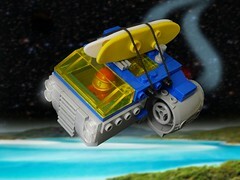 Also, are there any updated suggestions on where to purchase limited edition and/or Japan-exclusive Lego sets? Thanks so much! FYI, I just saw your definition of AFOL! Thanks for such informative posts!